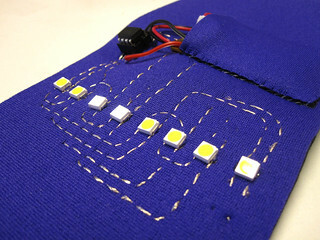 Description: LED POV (Persistence Of Vision) display using ATTINY45 and textile circuitry. As ATTINY has only 5 pins available for controlling LED, it incorporates charlieplexing to increase the number of LED I can control with 5 pins. This way I can control maximum 20 LEDs. 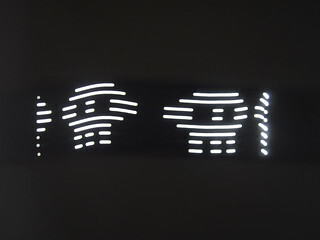 For this sample, I will be using only 8 LEDs.